Nov. 17th Annual Meeting: The LCGHS will hold its Annual Meeting on Monday, November 17th at 6:00 p.m. at the Palms Grill in Atlanta. The entrée’ for the buffet will be 1/4 Roast Chicken. Cost of the meal is $10.45 per person. 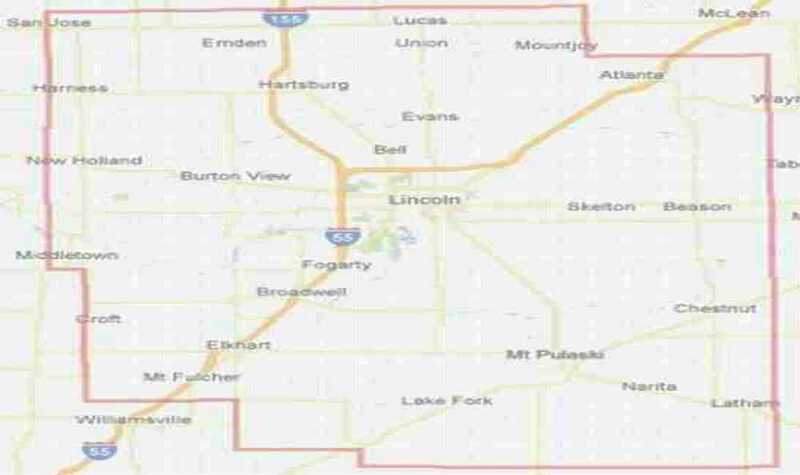 Reservations and payment can be made by stopping in at the center, 114 N Chicago St, Lincoln, before Wednesday, Nov. 12th. Musical entertainment for the evening will be provided by Eleanor Gunderman and Shirley Klink. The public is always welcome to join us and can make reservations at the center also. If you have any questions, please feel free to contact Roseann Coers, Event Coordinator, at 217-737-2534. We look forward to having you visit us. Who: Anyone interested in contributing suggestions and/or time to preserving and maintaining Allen Chapel, a church and gathering place for almost 150 years. What & When: Brainstorming and Planning meeting, Saturday, November 8, 2014, at 10 a.m.
Where: Allen Chapel, 902 Broadway, Lincoln. Contact: Rev. Barbara A. Ross, Ph. 773-457-3681, with questions or if you are interested, but unable to attend. 15 Sept., 2014 Sharon Reynolds was the guest speaker, Sharon Reynolds, talked about her 100+ Sear's home, two-story house on Route 121 south of Lincoln that has a storied history. The house is one of over 100,000 homes sold from the Sears, Roebuck and Company catalog during the early years of the 20th century. 18 Aug., 2014 Retired Pastor Barbara Stroud-Borth portrayed Sarah Wakefield, a captive of the Sioux Indians in the Dakota Conflict in Minnesota in 1862. Abraham Lincoln became involved in the final resolution of the conflict, displaying his sense of justice by commuting the death sentences of 265 Indians. In the end, the death sentences of 38 Dakota Indians were carried out. The mass hanging was a result of one of many bloody incidences in the long American-Sioux conflict that did not end until the 7th Cavalry conducted its massacre at Wounded Knee, South Dakota, in late 1890. Barbara did her pastoral internship on a Lakota reservation in South Dakota and served two congregations in South Dakota for six and a half years. Her second parish was in southwestern Minnesota. In all those places, she learned bits and pieces of the conflict between whites and Indians and President Lincoln's involvement, even as the Civil War raged on. In Barbara's words, "This story is not well known in Illinois. I want to share it and portraying Sarah Wakefield is a great way to do that." 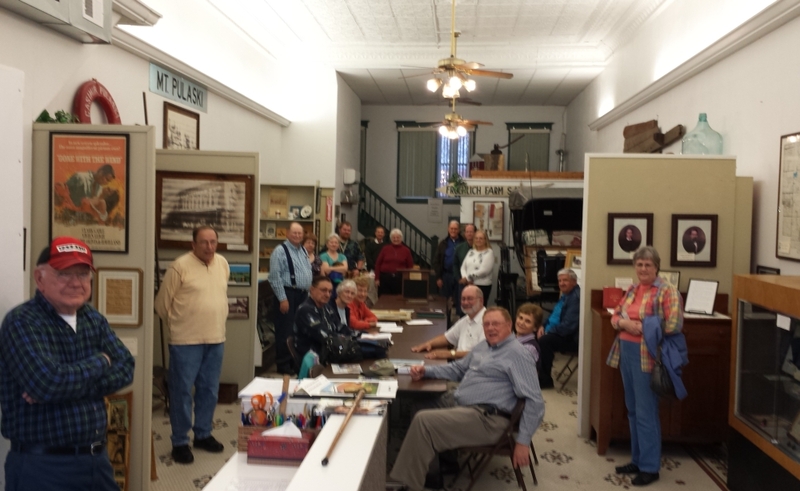 21 July, 2014 Mr. Chuck Garrett of Decatur was the guest speaker at the July 21, 2014, meeting of the Logan County Genealogical & Historical Society. Mr. Garrett is a long time marble collector shared some of the history of his marble collection. Mary Buckles of Mt. 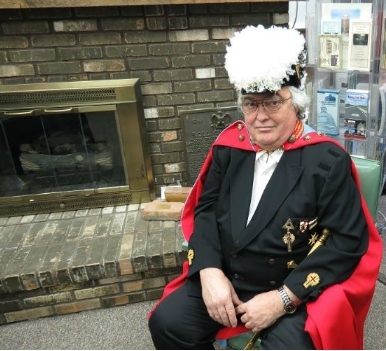 Pulaski will be the guest speaker at the March 17th meeting of the Logan County Genealogical & Historical Society. Mrs. Buckles is the owner of Prairie Home Herbs, Mt. Pulaski IL. Her topic for the meeting will be "Historical Usage of Herbs." Why was it important to take fennel seeds to church? Nowadays, we use Febreeze or some form of air freshener to clear the air of unpleasant orders. What would they have used in the 19th Century or earlier to do the same thing? Mrs. Buckles will be speaking at 6:30 pm on March 17th at the LCGHS Research Center, 114 N Chicago St., Lincoln. February 17, 2014 - Mary Kelley, Clerk of the Circuit Court, Logan County, will be our guest speaker. Mary will share information on the resources available through her office in doing genealogical work. 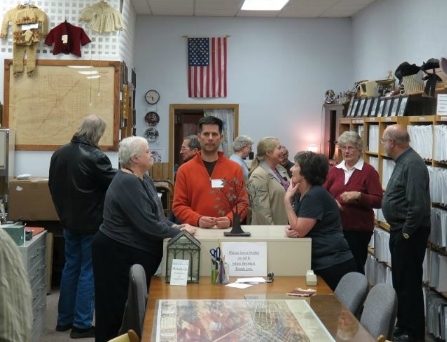 February 28, 2014, Slideshow By Mike Fak, The Logan County Genealogical and Historical Society held the February After Hours at their Chicago Street location. George Washington (George Walton of Mt. 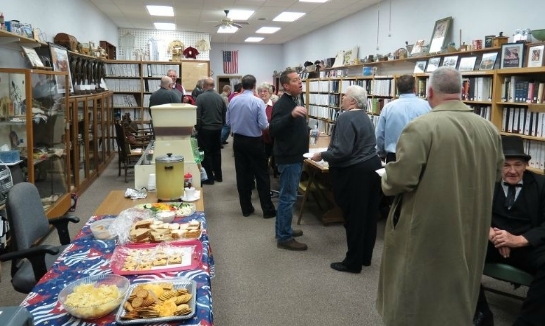 Pulaski) and Abe Lincoln (Charlie Ott of Lincoln) greeted guests who were treated to a myriad of finger foods. The slideshow was presented by The Chamber of Commerce. Since it’s really hard to predict the weather, there will be no special speaker at the January 20th meeting. Instead, we will spend the time trying to “Stump the Members.” If you have an unusual item, which you think will stump the members in guessing its identity, then please bring it to the meeting. For those of you who feel you don’t have an unusual item but would like to share something from the past, by all means bring it the meeting. 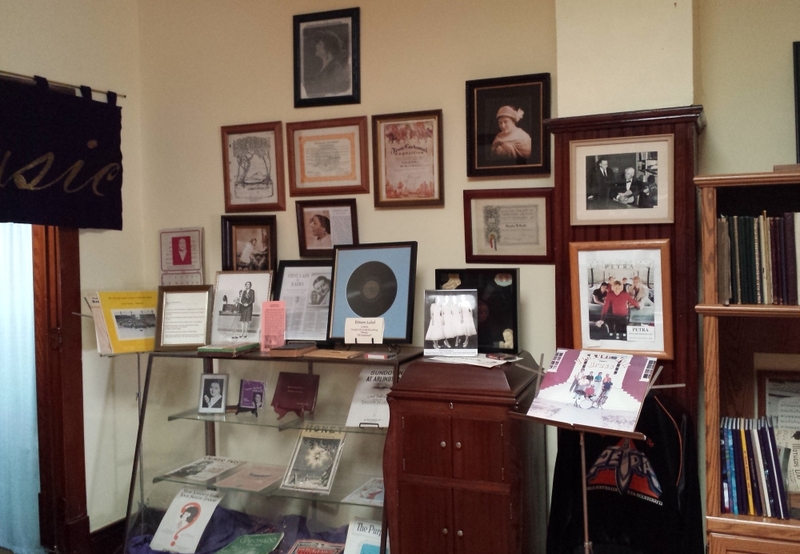 We look forward to seeing you on the 20th and rekindling some memories of the past.